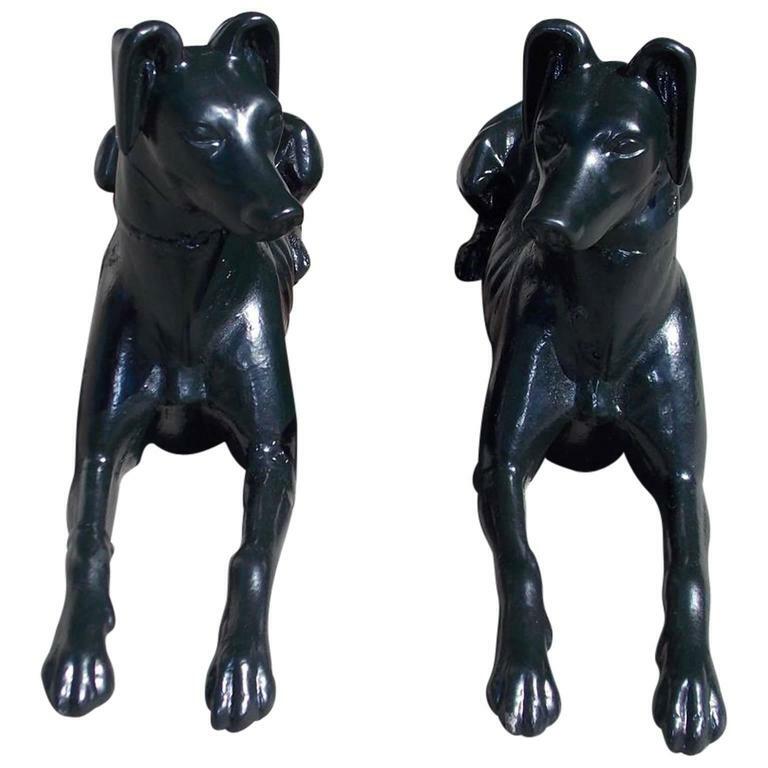 Pair of English solid cast iron whippets in resting position. Pair has been powder coated in Charleston green, Early 19th Century. Width 7 in. x Depth 27.5 in. x Height 11.75 in.